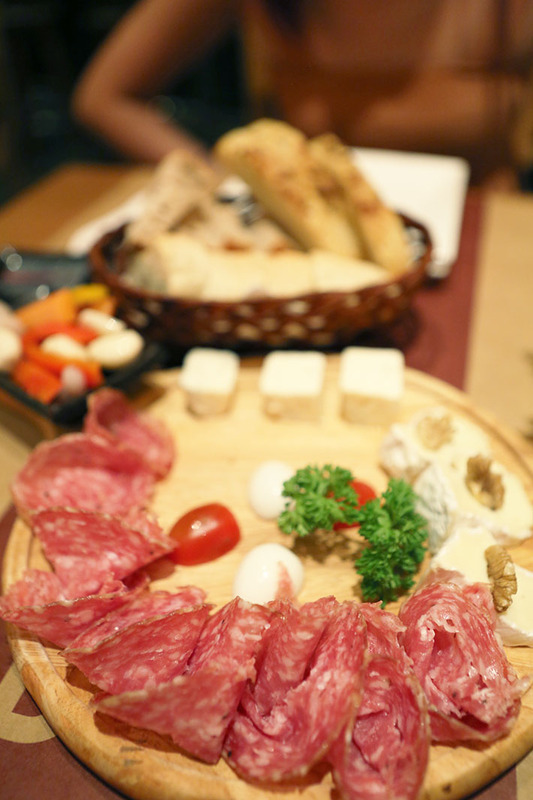 Before we even saw the wine list, we were sold by their impressive range of cheeses and cold cuts. You can have them in 2 sizes—Platter of 3 (270,000VND, S$15.80) or Platter of 6 (540,000VND, S$31.71). Their cold cuts selection include Honey Glazed Ham, German Beer Sausage, Parma Ham, Salami Milano and so much more. We decided on the Salami Milano. Their cheese selection is even more impressive. Their range features cheeses such as Gruyère, Camembert, Gorgonzola and Pecorino. The platter has a very generous serving of each cheese and cold cut we chose and it went exceptionally well with their house white wine. Their House bottle of Sauvignon Blanc (560,000VND, S$32.90) was smooth and crisp and the wine tasted even better when enjoyed together with the salty, creamy nuggets of cheese. 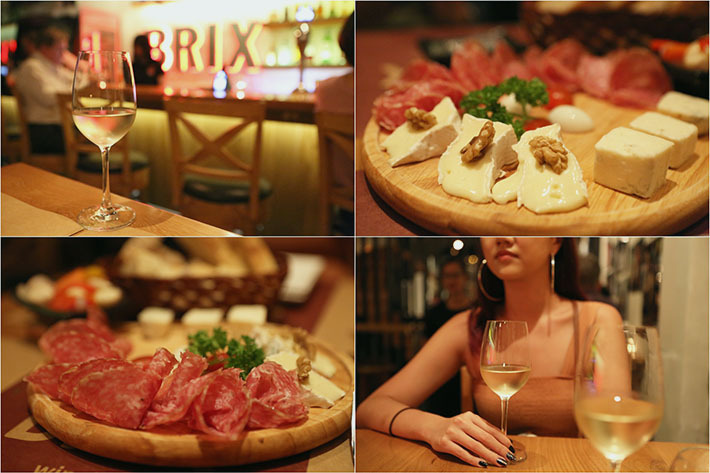 If you’re looking for a bar with great vibes and wines, look no further than to BRIX Winebar Kitchen.